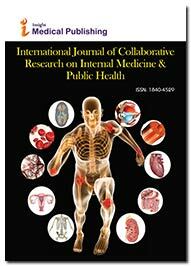 Do gender differences influence the prevalence of sickle cell disorder and related morbidities among school children in rural central India? Background and Objectives: Sickle cell disease (SCD) is a genetic disorder of great epidemiological, clinical and public health relevance in developing countries like India. It is irreversible, untreatable health problem responsible for increased morbidity and mortality of school children. With this background, the present study was undertaken to estimate the prevalence of sickle cell disorder and associated morbidities and also to assess the gender differences in rural school children of central India. Methods: A cross-sectional study was carried out among 735 school going children studying in 5th to 10th standard of Sevanand High School, Mahadula village, Koradi road district Nagpur. Detailed information regarding socio-demographic profile was inquired. Each student was subjected to thorough general and systemic examination. Also, haemoglobin estimation and sickling test was performed. In addition, Haemoglobin electrophoresis was done in students with positive sickling test. Results: Out of total 735 students, 56.2 % were male and 43.8% were female students belonging to different caste. 6.7% students showed sickling test positive with 30 (7.3%) males and 19 (5.9%) females. Majority of sickle positive students were males and belonged to schedule caste (mahar). All sickling test positive children were found to be sickle cell trait on haemoglobin electrophoresis. Mean haemoglobin level and mean quetelet index was found to be significantly lower in sickle cell trait students (p<0.001). Related morbidities like lymphadenopathy, upper respiratory tract infection, joint pain and otitis media were found in Hb AS students with greater prevalence among male students as compared to female students. Conclusions: The overall prevalence of sickle cell trait was found to be 6.7% in rural school children with higher prevalence among male students and preponderance in schedule (mahar) caste. Also, high prevalence of anaemia and morbidities (lymphadenopathy, upper respiratory tract infection, joint pain and otitis media) were found in sickle cell trait male students.